My name is Luke Woodhams and I am the proprietor of LW Business & Tax Services. I have been in the accounting industry since 2005 after leaving school. I commenced training for ACCA exams in 2006 with a small general accountancy practice in Tunbridge Wells and qualified as a Chartered Certified Accountant in February 2009. I obtained my fellowship with the Association in February 2014. My entire career has been focused around the smaller business and charities. I have a lot of experience dealing with all the major taxes (filing returns, tax planning and forecasting), accounts preparation, auditing of small trading companies and charities, and advising on business decisions from both a tax and efficiency point of view. During the ten years I have been in the field I have obtained an understanding of what small businesses require and the most efficient ways of running them. All this needs to be done while still complying with the vast amount of continually changing requirements and legislation surrounding them. LW Business & Tax Services was formed in 2012 and run on a part time basis. It has gradually been built up and eventually launched on a full time basis from March 2015. We are based in Crowborough in East Sussex but we deal with clients from all over the UK. "Our school has used LW Business & Tax Services for the last three years to audit our School Fund accounts. We have always received an excellent service. Luke is both efficient and personable and our audit report is always most clear and concise. We know that Luke will scrutinise our reports most efficiently and will ensure that nothing has been overlooked. He offers a first class service that we are delighted to recommend." "Luke has been instrumental in our success. He has been more than just an accountant and a real asset. Having experienced a few accountants I can truly say his services are second to none. He is prompt and uses modern methods in explaining and delivery our accounts to us. Faultless service." "We have known Luke for a number of years and he is now responsible for our limited company’s accounts. The service he provides is excellent, always willing to help at any time with any matter. Would definitely recommend Luke's professional services to anyone." 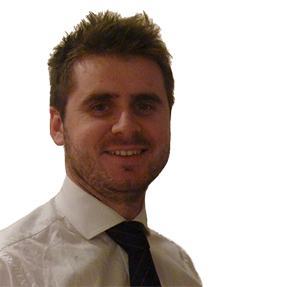 "I moved accountants on recommendation and have been with Luke Woodhams for over a year. It makes a pleasant change to deal with an accountant who fits in with my business offering an exceptional service along with knowledgeable helpful advice. As with all business, it comes back to money, and not only are the fees reasonable, he is willing to meet me at my own address and out of hours, saving me the hassle of taking time off work during the day." "Luke (LW Business and Tax Services) has been doing our bookkeeping for some months now and always works efficiently and gets the job done. He is knowledgeable and I would not hesitate in recommending him as an accountant." LW Business and Tax @ RT @CrowboroughAFC: Come and support the Crows in the FA Cup. This Saturday, at Alderbrook. 3pm kick off.